This is so cool since I reviewed this book last week and “know” the author in that we participate in several online forums together. Each year the National Council of Teachers of English (NCTE) gives out the Orbis Picture Book Award to one book as an example of excellent nonfiction for children. 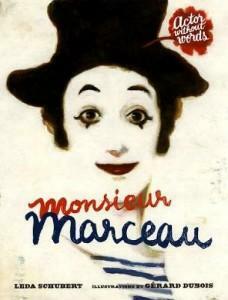 The winner for 2013 is Monsieur Marceau: Actor without Words by my friend Leda Schubert, illustrated by Gérard DuBois (Roaring Brook Press). Way to go, Leda! This book impressed me in showing how much he was able to express without words. Because he communicated without words, he could “speak” to people from many countries who knew a wide variety of languages. The committee also named honor books and recommended reading. Electric Ben: The Amazing Life and Times of Benjamin Franklin by Robert Byrd (Dial Books for Young Readers) which is on my “to read” stack. Those Rebels, John & Tom by Barbara Kerley, illustrated by Edward Fotheringham (Scholastic) which I loved. Happy Reading and, again, Congratulations to Leda! Do you have a middle grade novel or young adult novel to market? Then you might want to take a look at Algonquin Young Readers. This line was started by long time HarperCollins Children’s Book editor Elise Howard who left HarperCollins in October 2011 to start this new line at Algonquin Books, a small press based in North Carolina. Howard, editor and publisher of Algonquin Young Readers, is looking for “character- and voice-driven stories.” Her goal is to release 15 books/season their third year. They are launching this fall with two YA and three middle-grade books to be followed in the spring of 2014 with a similar list. The Time Fetch by Amy Herrick. A middle-grade fantasy about a boy who rips the space-time continuum. If You Could Be Mine by Sara Farizan. A young adult about Sahar, an Iranian teen in love with another girl. Somebody Up There Hates You by Hollis Seaman. A YA about teens in hospice care. The Show Must Go On! by sisters Kate and M. Sarah Klise. This is the first of three Three-Ring Rascals books for newly independent readers. Anton and Cecil: Cats at Sea by Valerie Martin and, her niece, Lisa Martin. Another middle grade title. I was encouraged that not all of these authors are big names like the Klise sisters with their long running collaboration in children’s books. Herrick, Seaman, and Valerie Martin have experience but in writing for adults. Lisa Martin is an educator and poet. Farizan is a debut author. If you plant to submit, target your work well and send only your best because they report receiving a large number of submissions. The publisher doesn’t take unsolicited manuscripts, either by post or electronically, but they do welcome queries. In your query include a no more than 15-20 double-spaced page sample of your work, a cover letter, and a SASE. Mail to: Editorial Department, Algonquin Books of Chapel Hill, P.O. Box 2225, Chapel Hill, NC, 27515. Are You Eligible for a Crystal Kite Award? The Crystal Kite is the member choice award given out by the Society of Children’s Books Writers and Illustrators each year. That means that if you are an SCBWI PAL member with a book published in 2012, you need to make sure that your book has been nominated. Do this by going to the SCBWI site. Click on the tab labeled Publication. NOTE: Once voting has begun (February 1, 2013) no more books can be nominated. You have two days to nominate your book! Good luck to all of you PAL authors. The American Library Awards named the winners of their coveted medals this morning. Here is a list, hopefully formatted a bit more clearly than the lists I’ve found online. Bomb: The Race to Build-and Steal-the World’s Most Dangerous Weapon by Steve Sheinkin (Flash Point/Roaring Brook Press). My son wants to read this one so I’m already on the library’s list. This Is Not My Hat illustrated and written by Jon Klassen (Candlewick Press). One of my girlfriends just recommended this to me. Creepy Carrots! illustrated by Peter Brown, written by Aaron Reynolds (Simon & Schuster Books for Young Readers). I adored this book. Seraphina by Rachel Hartman (Random House Children’s Books). Loved this book! Setting. Its the place where your story takes place, but if you play it right, you’re setting can be so much more. Mood. Have you ever noticed how some authors use the setting for instant mood. Need spooky? Place your character in a cemetery. Cheerful? A beach in bright sunshine. Character. It can also reveal a lot about a character. Set your story in a middle school and we have a pretty good idea how old your teen character is. Likewise, if your story opens at the animal shelter where your character volunteers, we know a thing or two. Foreshadowing. Black’s book is about a character who is finding out about her family’s past. What she learns about the history of the setting, Galveston, mirrors the history of her own family and the mistakes made in the distant past hint at similar mistakes she very nearly made. Read more about Black’s work on the Muffin post . I posted there today with a book review that goes into a bit more detail about how this writer uses her plot to its fullest. Me? I’ve got a book to re-read. 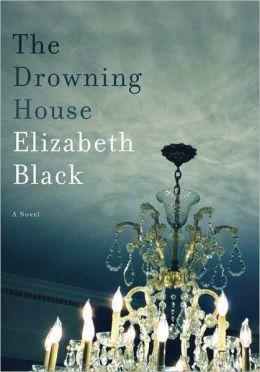 Recently the nominees for the 2013 Edgar Awards were announced. I’m only going to give the juvenile and young adult lists below. For the full list, click here. Without further ado, the nominees are. . .
Maybe you are familiar with Snap Judgement, Story Telling with a Beat, but it was new to me when Jane Yolen posted a link to this video on Facebook. Wow. Initially, that’s all I could say. Wow. Noah St. John is the performer and his pacing is amazing. He draws us in and makes us (forces us!) to care. He makes his personal story appeal to a larger audience. It doesn’t just matter to him. It matters to us. We have to keep listening. And his misleads us in the most amazing way. You think you know where he’s going and then — snap — he jerks you in another direction. Yes, this is a video. It is a story as spoken word. There is a musical accompaniment which we, as writers, normally don’t have for our work. But don’t just shrug it off. This is story telling. What can you take away from this to use in your own work? Watch and learn, people. Watch and learn. Andrea Cascardi, formerly an agent with Transatlantic Literary, has been appointed as managing director and publisher effective immediately. As an agent, she represented Mary Casanova, Mary Nethery, and Clare Vanderpool, Newbery winner. Before becoming an agent, Cascardi held editorial positions at Disney Publishing, Kingfisher USA, and the Knopf and Crown imprints of Random House Children’s Books. With Cascardi taking this newly created position, Elizabeth Law is leaving the company. Law has been with Egmont USA since its creation 5 years-ago. What will these changes mean for authors? We will have to stay tuned to find out. Are you one of those writers who shares every single story idea before you start working on it? If you watched this video, you may be wondering if that’s such a good idea. I’m still trying to decide how I feel about it. If I tell someone about my story, does it feel like all of the energy has gone out of the project? Why am I telling other people about my work? Do I need to bounce ideas off other people to work through them? I know a number of writers who discuss each and every project in great detail before they get a word down. Some of them then go on to write the book. Other, don’t. Which goals to I finish — those I announce vs those I don’t. If I discuss a project, are there people in my life who will hold me accountable? Thank you to Alison Pearce Stevens for sharing the link to this video. It has definitely given me something to think about! One of my favorite projects. This one is going in the family room. Here are a few of my crafts that were recently published on Education.com. Brownie Waffles. Brownies made in a waffle iron. So good! So rich! Cereal Man. Think rice crispie treat in the form of a ginger bread man. No, I can’t call it a rice crispy treat in the actual activity, because rice crispies are a particular product. String Art Tree. String tree made on a cone form. Messy but fun. String Jewelry. Like spyro-graph with string but you get to wear it. String Letters. Very time consuming but I love the final product. 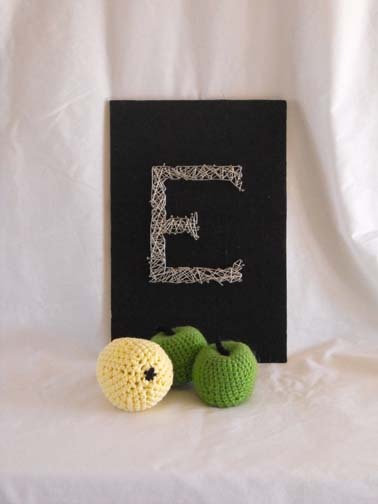 Yarn Letters. Another one that took a while to finish. You would think that as many of these activities that I do (20 every 4-6 weeks), I would have learned all there is to learn. Maybe I’m just slow but here are three things that I learned this time around. Do not pitch too many food activities at once if they are all dessert. Or maybe you should only do it if you are having a party. Way, way too much food this time around (there are four more pieces that haven’t been posted yet). When you do this many pieces every month, take the time to complete each project into consideration as you pitch. String art if very time consuming. Nuff said. Also look at the space each project will take up. I try to hang onto a finished piece at least until it is published. That way I don’t have to redo a project if my editor needs additional photos. Big, bulky projects take up a lot of space. Multiply that by 2 or 6 or 20 and other people in the family start to give you funny looks when they try to squeeze through the dining room. What will I learn with my next batch of activities? Who knows!